Nikos Harris, Q.C. is a practiced appellate counsel who has appeared on numerous occasions before the British Columbia Court of Appeal and the Supreme Court of Canada. He received his LL.B. from the University of British Columbia in 1995 and was called to the bar in British Columbia in 1997. 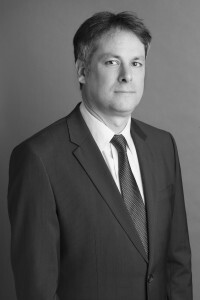 Mr. Harris served as a judicial clerk at the British Columbia Court of Appeal. In 2018, he was appointed Queen’s Counsel. In addition to his extensive experience as appellate counsel, Mr. Harris serves as a lecturer with the University of British Columbia Faculty of Law where he teaches courses on introductory criminal law, evidence, and advanced criminal procedure. Mr. Harris has written extensively on a variety of issues related to criminal law and evidence, including Charter remedies, jury instructions, and evidence in appellate proceedings.